The Raj Cardiovascular Program, based on the science of Maharishi Ayurveda, provides the most comprehensive natural approach to heart health available today, both in terms of identifying causes and in providing a wide range of time-tested treatment options. While heart disease has many components to it, its primary feature is a physical deterioration of the cardiovascular vessel walls. This can include clogging of the vessels with cholesterol and plaque, damaged areas due to increased pressure, and loss of vessel wall thickness. The good news is that the majority of cardiovascular disease is preventable, and often reversible, by natural means. The Ayurvedic approach to heart disease is to identify foundational imbalances that give rise to cardiovascular disease. Ayurveda understands arterial plague to be toxic matter that builds up because the physiology is not able to get rid of it efficiently. The multi-modality treatment program at The Raj helps to remove impurities and blockages, strengthen digestion, improve metabolism, and restore the body’s natural abilities to detoxify and heal. You’ll go home with individualized recommendations allow you continued you improvement in heart health. Our Ayurveda Experts will design a treatment program for your heart condition. You will leave with specialized recommendations to allow you to continue your progress at home. Ayurvedic experts, Mark Toomey PhD and Vaidya MP Manohar, work in conjunction with Dr. Robert Schneider, MD, to create an effective, customized program to address your cardiovascular condition. By using Pulse Assessment to identify the source of your heart condition, an individualized program can be created that will effect significant changes, naturally and holistically. With an emphasis on prevention, and utilizing only natural approaches, The Raj Heart Disease treatment program removes toxins, boosts the immune system, and promotes balanced health. All of our treatments have been approved by the Maharishi Ayurveda Council of Physicians, a consortium of Ayurveda doctors, considered the gold-standard of Ayuveda. How is the Ayurvedic approach to heart disease different? Through its unique assessment of causal imbalances at the basis of a condition and its wide range of time-tested recommendations, Ayurveda provides a comprehensive approach to heart health. Clogging of vessels with cholesterol and plaque. Damaged areas due to increased pressure and free radical activity. Loss of vessel wall thickness. This physical deterioration of cardiovascular vessels predisposes individuals to a wide variety of symptoms including pain, weakness, shortness of breath, palpitations and faintness. Individuals with cardiovascular disease also have heightened risk of serious, life threatening disorders mainly from tissue damage due to poor oxygen supply. The good news is that cardiovascular disease is mainly a result of unhealthy lifestyle decisions and is therefore preventable, and often reversible, by natural means. Modern medicine now understands cardiovascular disease to be mainly caused by a variety of “risk factors”. Virtually all of these factors are determined by lifestyle issues of diet, exercise, substance abuse, and the amount of health promoting regimens in daily life. It is vital to address cardiovascular disease through lifestyle and prevention. The Ayurvedic approach to removing the causal imbalances of cardiovascular disease differs markedly from the standard modern medical approach of matching specific drugs to symptoms. Drugs often just eliminate or masks symptoms but do not really cure and heal. Rather, they leave the root imbalances in place and often further deteriorate the body’s natural healing response through the side effects they create. For example, blood pressure, cholesterol reducing, and anti-anxiety medications provide only temporary improvement, as the risk factor or symptom promptly returns if the medication is discontinued. The Raj Program for Heart Disease using the multi-modality approach of Ayurveda helps to improve digestion, eliminate the buildup of impurities, and reduce blockages of circulation to the tissues. 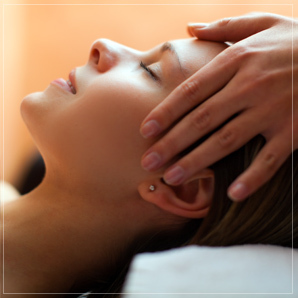 Your daily 2 – 3 hours of Ayurvedic treatments form the cornerstone of your in-residence treatment program. How do does your program specifically target cardiovascular disease? The Raj Program for Cardiovascular Disease is conducted under the supervision of both our Ayurvedic experts and our medical doctor. It draws on knowledge from the world’s oldest and most complete system of natural health care. The program provides the most comprehensive approach in natural health care to address imbalances at the basis of cardiovascular disease. Certain foods are heavier and more clogging in nature. Our Ayurvedic experts and health education classes will help you identify the foods that can be most clogging to circulation so you may reduce or eliminate these foods. Conversely you will receive recommendations for foods that do not clog the physiology and could actually aid the natural cleansing and healing processes within the cardiovascular system. Even more important than what we eat is our ability to digest what we eat. Even if we eat healthy foods, we still may create toxic and clogging impurities that localize in vessel walls if we are not properly digesting our food. Gut health, digestion and nutrition are cornerstones of The Raj Ayurveda approach. You will receive a comprehensive set of individualized recommendations for improving digestion. When elimination slows down, impurities that should have be removed end up being absorbed. The impurities travel throughout the body and localize in tissues. They not only block vessels but when toxic they can damage vessel walls. You will receive individualized recommendations to improve elimination and maintain its proper function. It is not enough for the body to have strong digestion and elimination. It also needs strong metabolism to build tissues properly and remove waste products created by cells and tissues. Free radicals are an example of toxic waste products that can seriously damage vessel walls if allowed to accumulate. In fact, science understands that it is not so much the cholesterol levels that create cardiovascular damage as the levels of free radicals. Our Raj Ayurveda experts will provide recommendations that target improving metabolism and reducing free radicals. The specialty of The Raj in-residence programs are the powerful yet gentle Ayurvedic cleansing procedures, known as Panchakarma, which are administered by our highly trained technicians. The daily combination of massage, herbalized oil application, heat treatments, and an option mild herbal enema provide a thorough, multi-faceted approach to removing impurities that have accumulated through out the physiology. By administering these treatments for 2-3 hours, every day for 5 to 21 days in a row, layer after layer of toxins and impurities are loosened from tissues and eliminated from the body. For a detailed description of our Ayurvedic treatments, click here. Can you share a heart health success story? Dr. Layne Longfellow, a writer and lecturer based in Boulder, Colorado had various complaints-including heart palpitations and a cough that “just wouldn’t go away”. Neither a cardiologist nor a pulmonary specialist were able to diagnose or treat his symptoms successfully. “I wasn’t clinically sick, but my whole system was flashing red lights,” recalls Longfellow. “I was down with one cold or flu after the other, had digestive problems, and in general had no energy. I wasn’t feeling good at all.” On top of it all, Longfellow saw his cholesterol level increase from 231 to 245 over a nine-month period in spite of the fact that he followed a strict low-fat diet. In addition to seeing his regular doctor, Longfellow tried alternative approaches ranging from homeopathy, chiropractic, and acupressure to nutritional counseling. But he didn’t get any better. As a last resort, he decided to enroll in an eight-day Ayurveda health and preventive care program at The Raj. This program is the most effective, proactive health program that I know. If more people followed its simple program the overall health in the U.S. would improve dramatically. New insight, encouragement and motivation on my journey to health and healing. A very knowledgeable staff, good food, ambiance and very accommodating!!! Anyone who is serious about their health must come to The Raj and experience Panchakarma treatments! The Ayurvedic approach to health is the most comprehensive and sensible one I have ever experienced in my thirty years of holistic living. The Raj does Ayurveda with perfection. And to that perfection, the staff of The Raj add kindness, love, dedication, professionalism and efficiency. Kudos to every one of them! Thank you all! Each of us is responsible for our own health. I feel I have the knowledge after staying at The Raj to sustain and embrace the best health, both mentally and physically, and to continue learning.